Many dogs have problems eating too fast, leading to vomiting and other stomach problems. Our U.F.O. 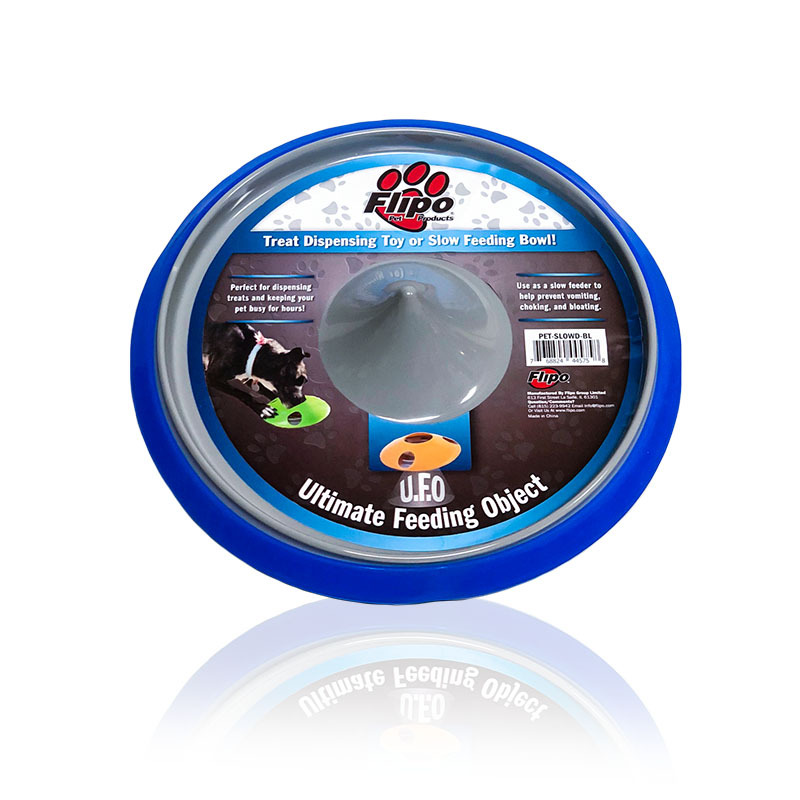 is designed to force your dog to eat slowly and alleviate these issues. 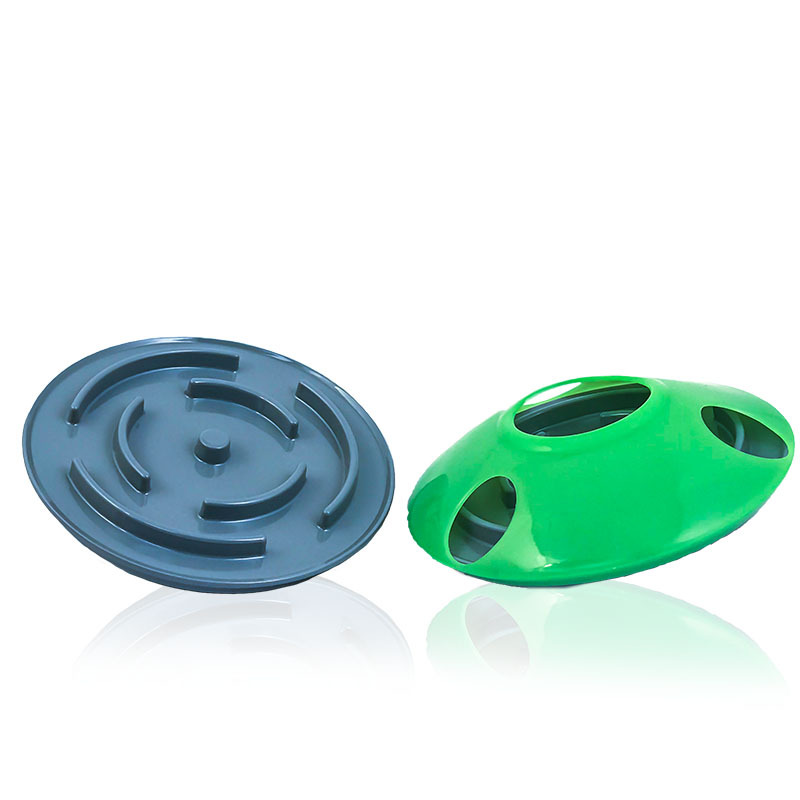 Each feeder is a top shaped inverted bowl that gently spins and moves as your dog eats. 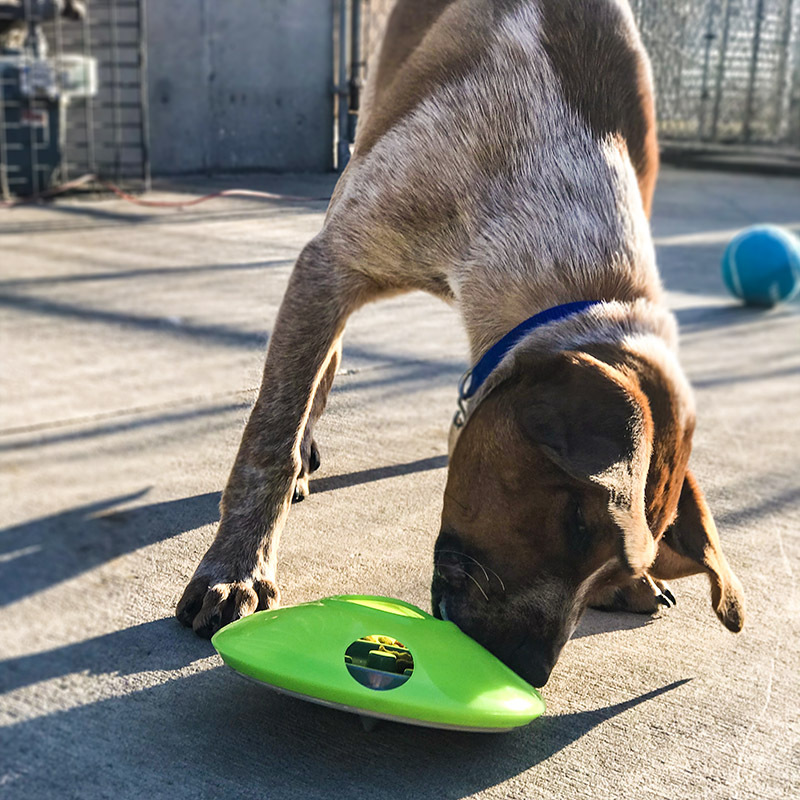 A silicone cover with small holes prevents your dog from eating too quickly, and a maze shaped surface keeps food from collecting in one spot. The U.F.O. 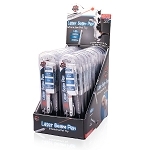 is also perfect for dispensing treats and keeping your dog busy for hours. 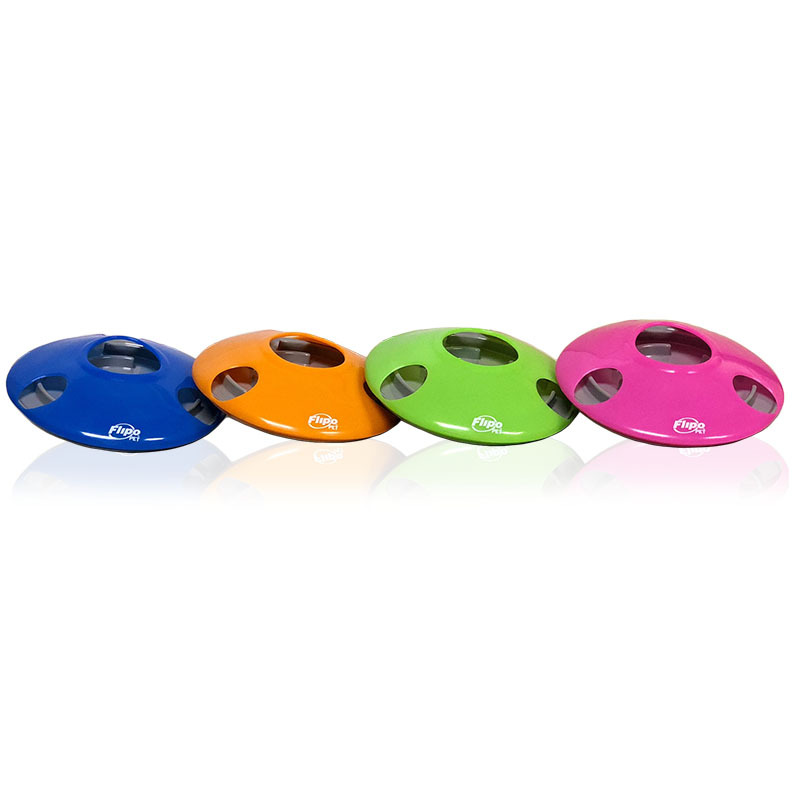 Designed for small and medium dogs, the UFO is available in orange, green, blue and pink. 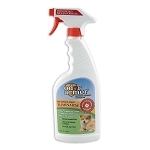 Prevents your pet from eating too quickly, alleviating stomach issues. Keeps your pet busy for hours. 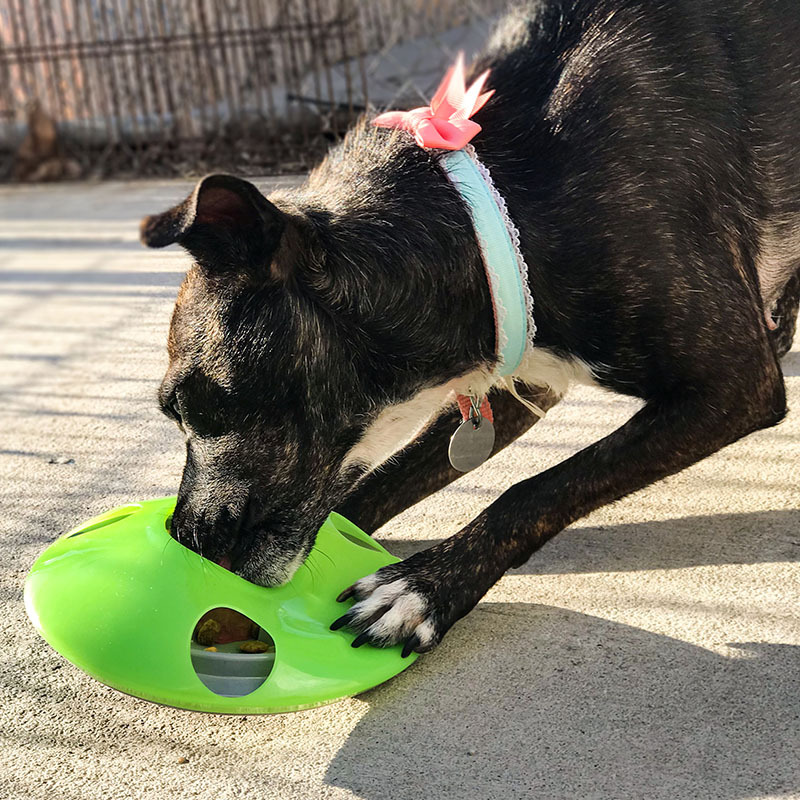 Use as treat dispenser or slow feeder. 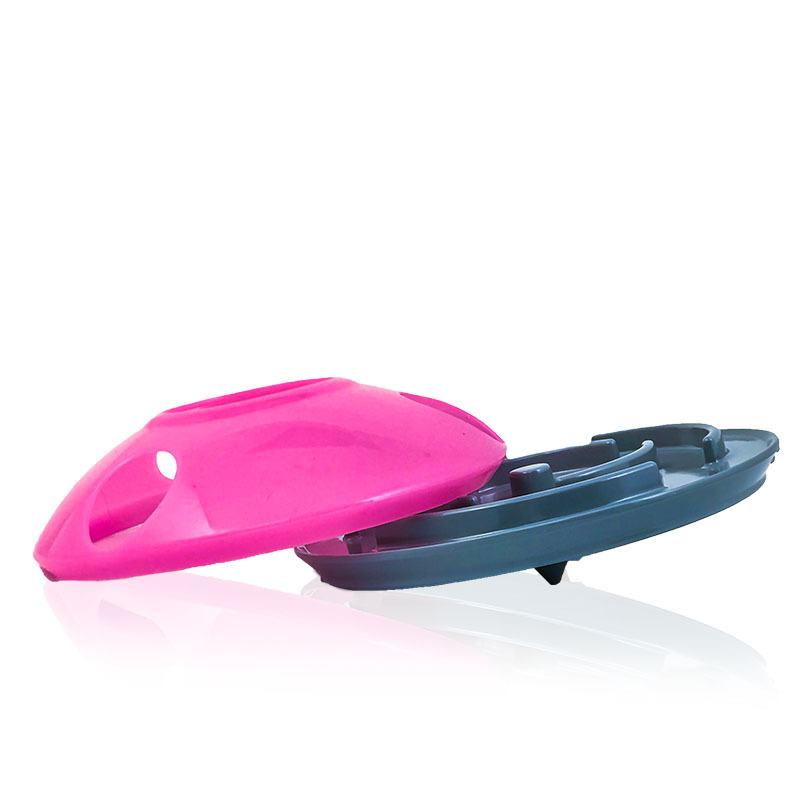 Removable silicone top for easy washing. 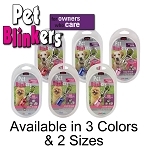 Designed for small and medium breeds. Measures approximately 7" in diameter. Available in orange, green, blue and pink.